Get your garden ready for butterflies! Dennis Murley from Mass Audubon's Wellfleet Bay Wildlife Sanctuary talks to our audience. 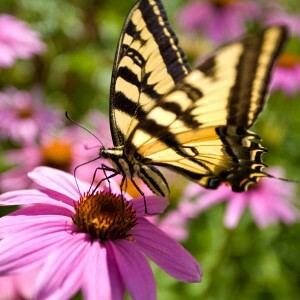 Learn the names of plant species that attract both butterflies and their offspring. You can provide a colorful backyard habitat where butterflies find nectar and lay eggs!